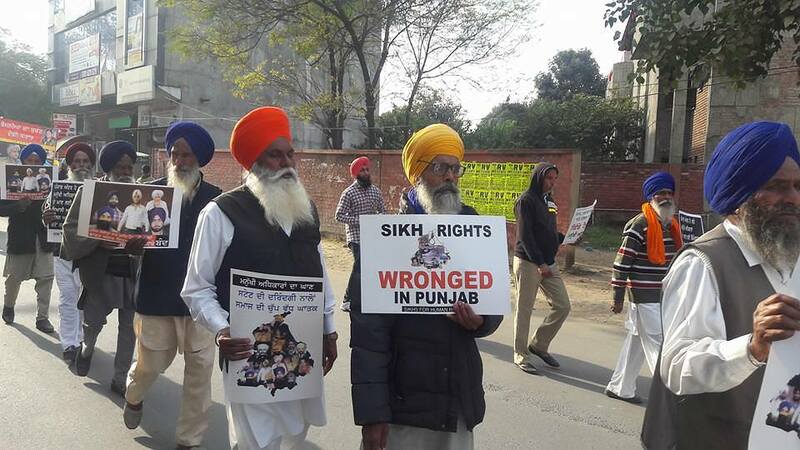 Gurdaspur- Dal Khalsa today put the Indian government in a dock by stating that if New Delhi is not at fault, then why is it not allowing Amnesty International, UNHRC and HRW to examine the continued human rights violations in Punjab. 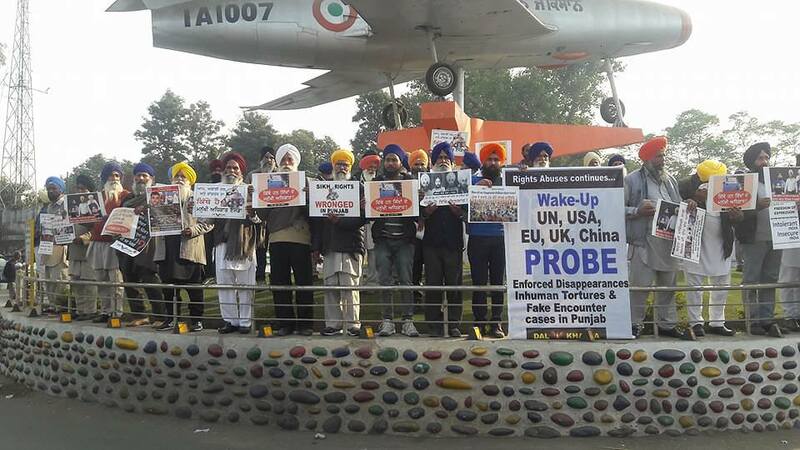 The pro-freedom Sikh group was holding a protest sit-in to mark the 69th World Human Rights Day. 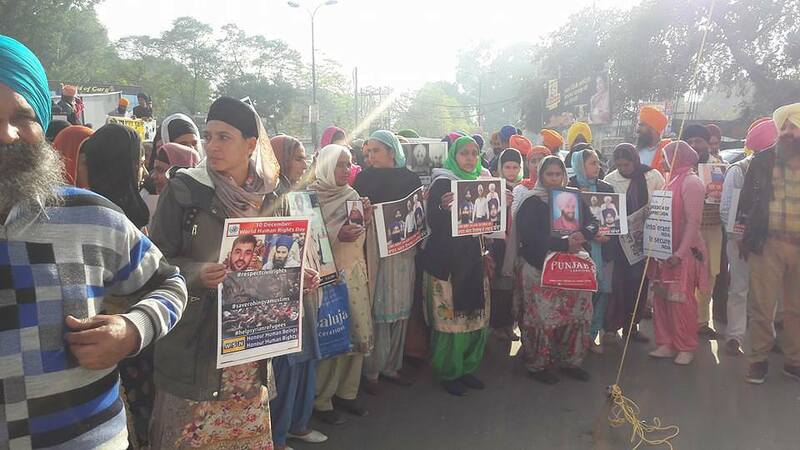 Activists of the organization also held a march in the city in which victims’ families of state-repression also participated. 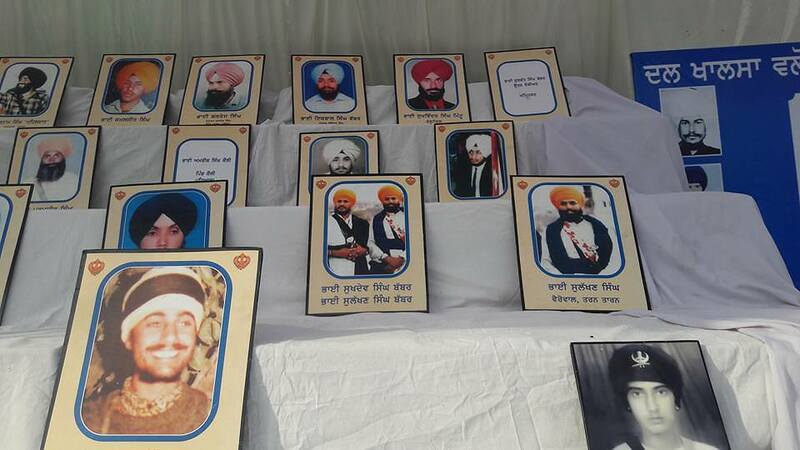 They were holding the photographs of their near and dear ones, who lost their lives during the militancy era. 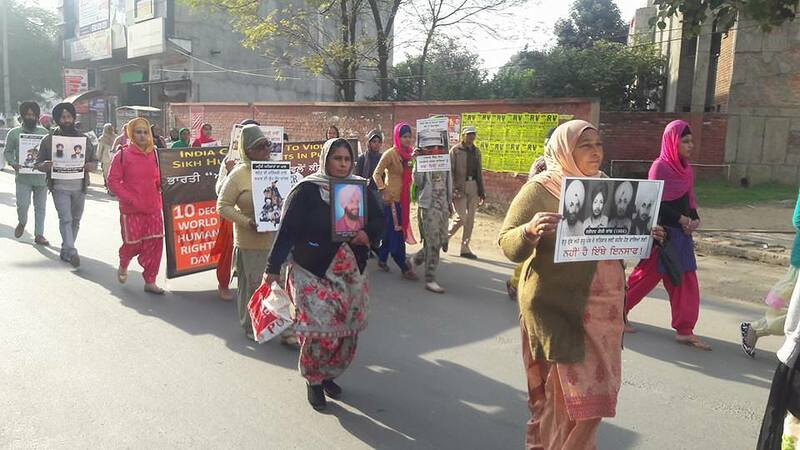 Parents and relatives with tearful eyes were carrying placards and banners in which it was written “where are our beloved ones”, obvious reference to victims of enforced disappearances. “They had a poser to UN. 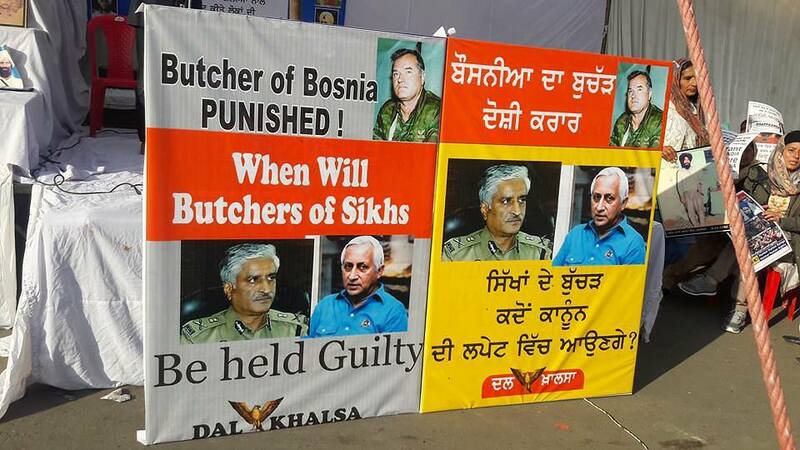 Butcher of Bosnia has been punished. 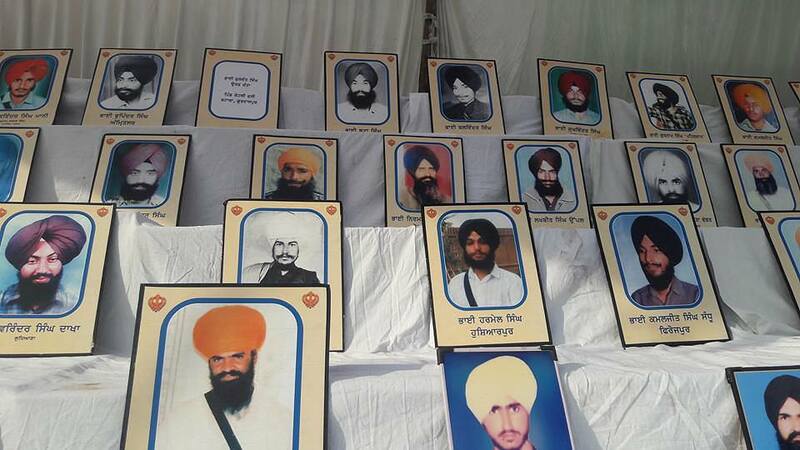 When will Butchers of Sikhs to be brought to book”. 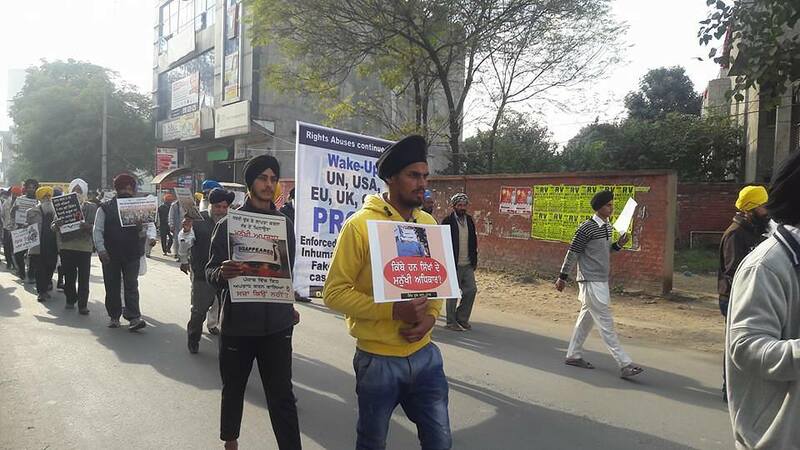 Party head Advocate Harpal Singh Cheema while addressing the protest said today it sounds clichéd to talk of respect for human rights in Punjab. 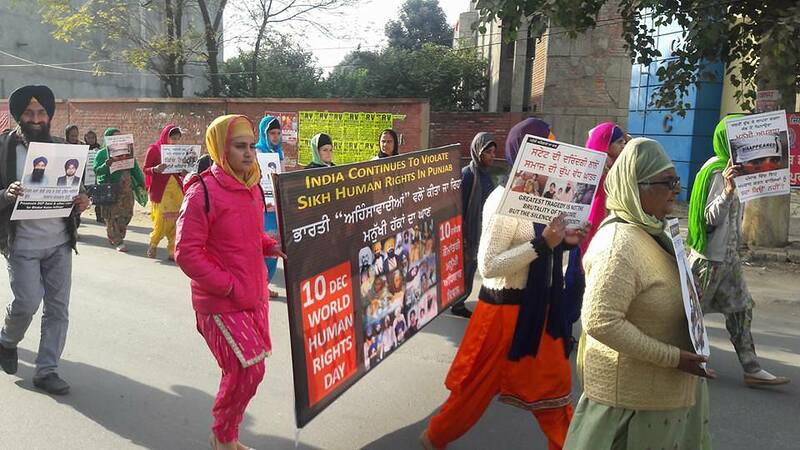 It is distressing that no international report of Rights groups and NGO’s has made any dent in the wilfully negligent and pro-actively tortuous ways of the Punjab police. He termed the National Investigation Agency a dragon created and designed by the Modi dispensation to crush the dissenting voices animating from minority communities. 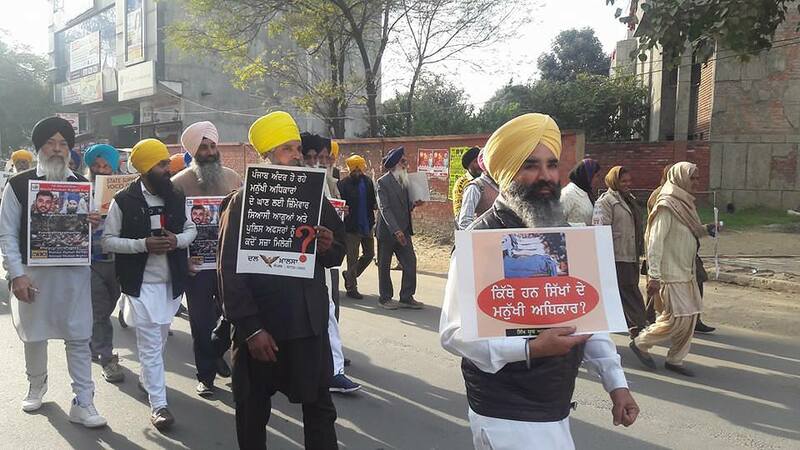 Referring to recent arrests linked to political killings in the last two years, he said to end the cycle of violence, Indian state needs to find political resolution to Punjab problem. 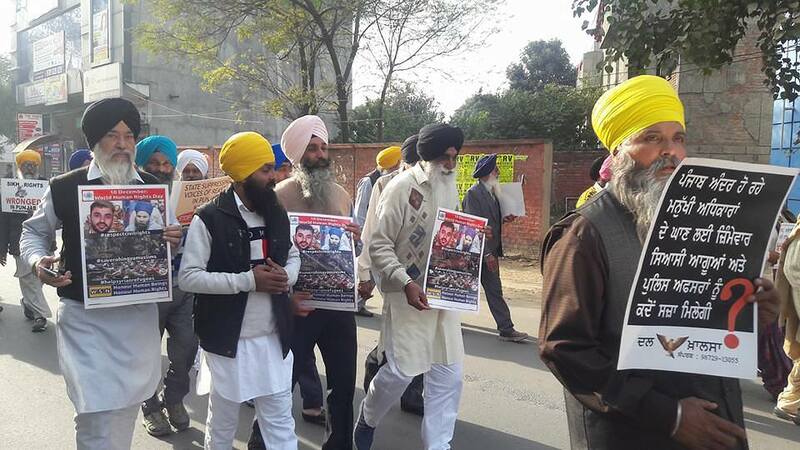 He slammed India’s stubborn attitude for cold-shouldering the outcry of British parliamentarians in the case of continuing detention of British nationals Jagtar Singh Johal and Jimmy. 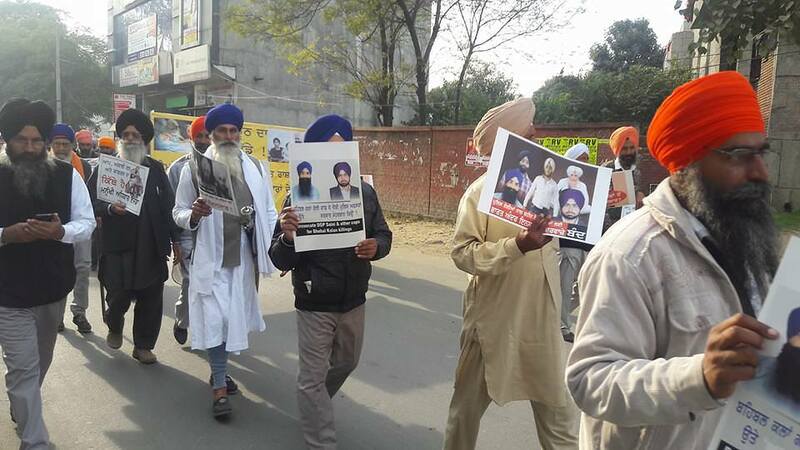 Trashing the police claims that law was followed in recent arrests, Advocate Jaspal Singh Manjpur said in the last few weeks, many arrests have been made on flimsy grounds, many people have been tortured in the police custody and many were subjected to harassment and humiliation. 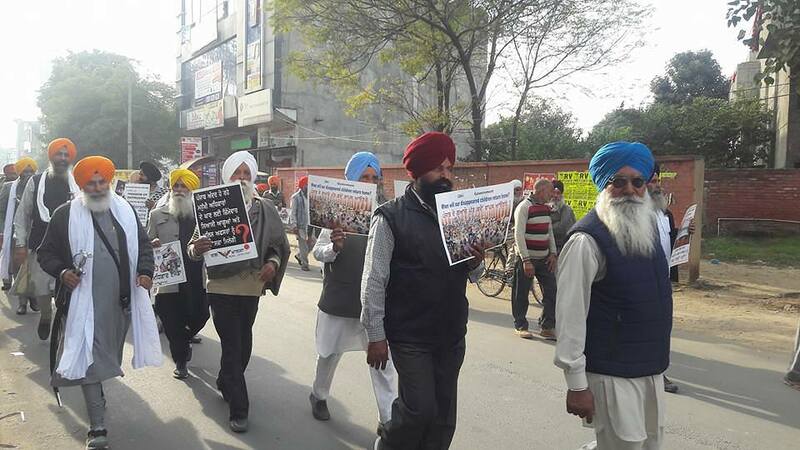 Taking a dig at government, party general secretary Paramjit Singh said as if the impunity enjoyed by the police in Punjab under various laws was not enough, the Amarinder government has decided to bring PCOCA in the name of tackling the organized crimes by gangsters”. Taking a jibe at present dispensation, he said in Modi’s country cows have rights not human beings. 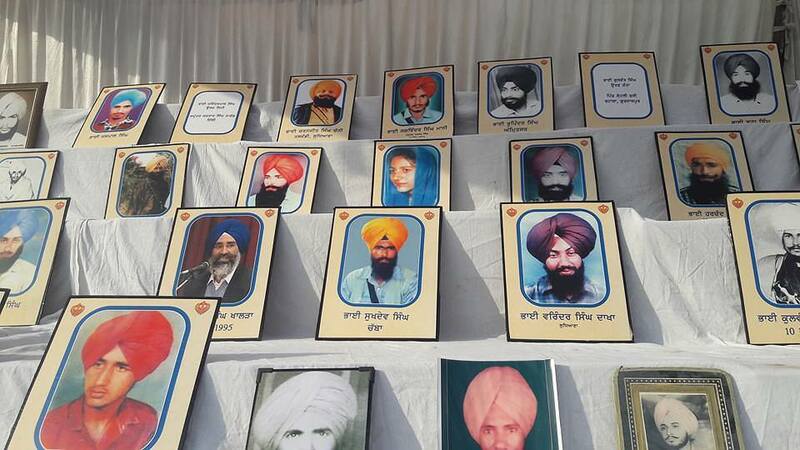 President of Sikh Youth of Punjab Paramjit Singh Mand narrated the case of a young businessman Inder Mohan Singh Uppal, who was picked up by Ludhiana police on September 11, 1988 allegedly for providing shelter to militant leader. He died in police custody but family never received official acknowledgement about his death. Touching an emotional chord, he told audience that how then SSP Ludhiana S S Saini now DGP mocked and fooled the family about his whereabouts despite Inder being in his illegal custody. 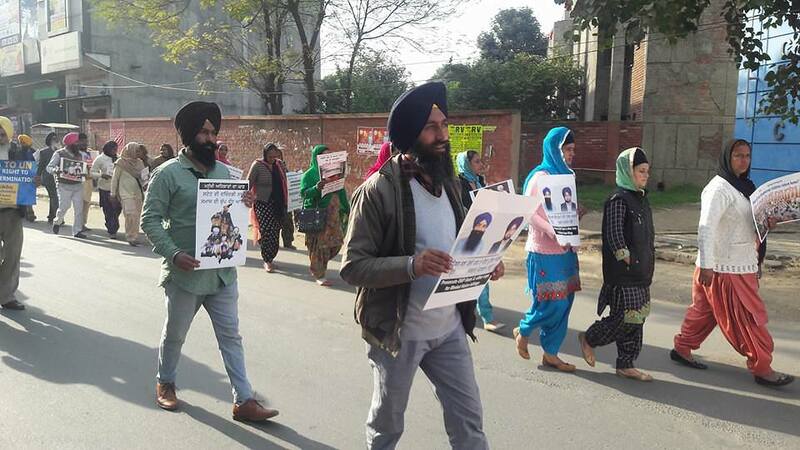 Quoting the report documented by the Human Rights Asia Watch, he said Inder’s family being well connected approached the police higher-ups and got to know that Inder was killed the very first day of his arrest in custody”. The report quotes DIG of Patiala, R S Gill who after 18 months family’s ordeal told them that “I am sorry, the boy is no more. These people have been making fools of you. He expired on the very first day”. 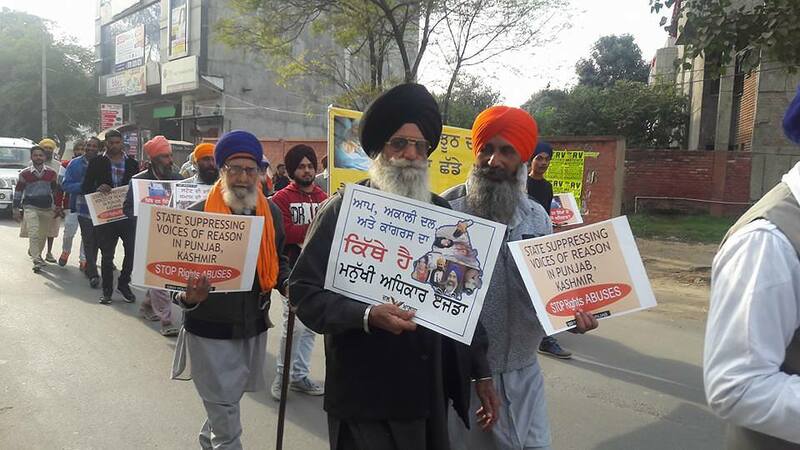 Dal Khalsa head said this case is illustrative as the officer in question is enjoying state patronage and has remained head of state police though there were far more grave abuses of rights. 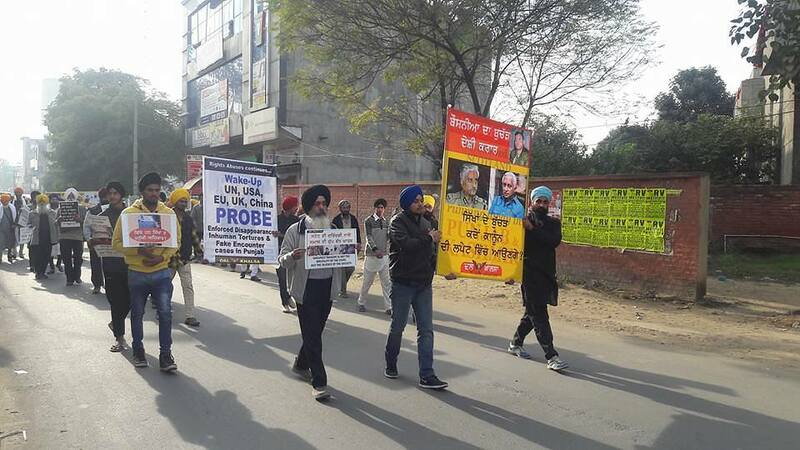 He demanded international probe in this case. 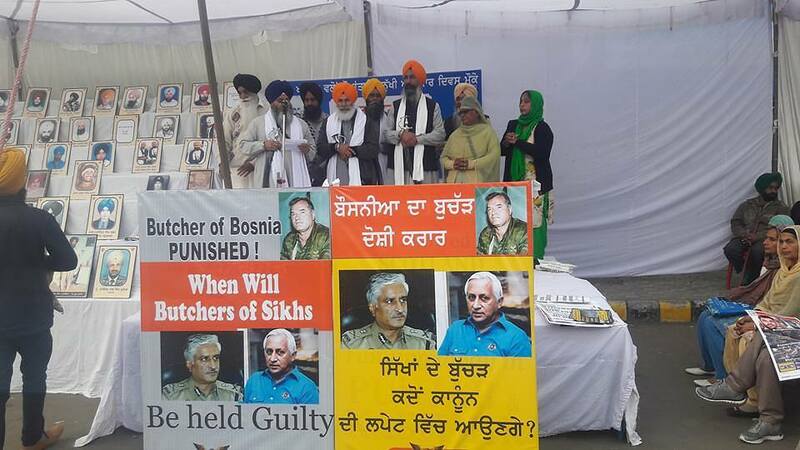 Cheema said by failing to prosecute the members of its security forces responsible for rights abuses, the Indian state has effectively condoned these practices. ਪੰਜਾਬ ਪੁਲਿਸ ਵਲੋਂ ਕਿੱਤੇ ਗਏ ਸਿੱਖ ਨੌਜਵਾਨੀ ਦੇ ਘਾਣ ਅਤੇ ਮਾਵਾਂ ਧੀਆਂ ਭੈਣਾਂ ਦੀ ਕੀਤੀ ਬੇਪਤੀ ਨੂੰ ਨਾ ਭੁੱਲੇ ਸੀ ਨਾ ਭੁੱਲੇ ਹਾਂ ਤੇ ਨਾ ਹੀ ਕਦੇ ਭੁੱਲਾਂਗੇ….